Have you ever dreamt of a low-traffic area around Brick Lane? If so, now's your opportunity to ask for one! Tick "agree" to everything, but particularly support the two proposed modal filters (on Bacon St west and Derbyshire St), and use the free text boxes to ask for additional area-wide filtering to create a true low-traffic neighbourhood. You could also suggest that Brick Lane itself is made walking- and cycling-only at peak times. In addition to using the consultation webform, you can also drop in suggestions on the map, which are publicly viewable. 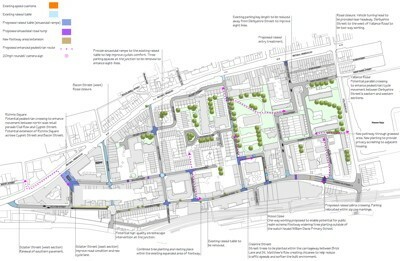 Given this area is mostly flats, it'd also be worth asking for more than five bike hangars, as well as some additional public bike stands on Brick Lane itself.